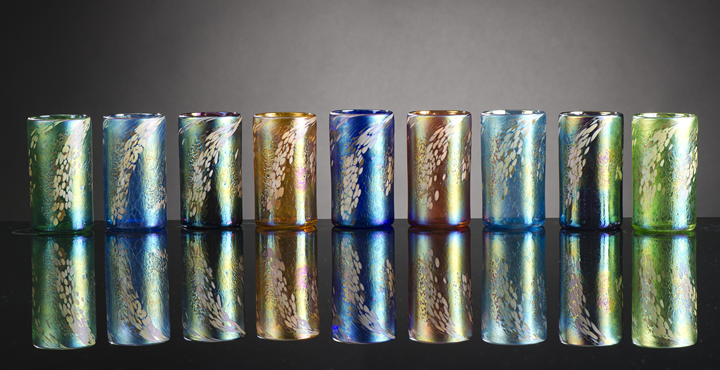 Tumblers... Vines Art Glasss...Bryce Dimitruk Artist, 541-347-2652 Bryce Dimitruk began creating art form hot and cold glass in 1998, while working at the Internationally reconized studio Steven Lundberg Art Glass in Santa Cruz, California. During the five years he was there, Bryce had the opportunity to study under several masters with whom he worked on projects for Disney. The Corning Museum. Gumps and many other nationally renowned galleries throughtout the U.S. A dream of having his own studio came to fruition in the beautiful coastline town of Bandon, Oregon and in 2004 Bryce and his wife Miyuki aquired Vines Art Glass. Together they have continued the tradition of creating a high quality, innovative product line that Vines Art Glass has been known and respected for since 1982. 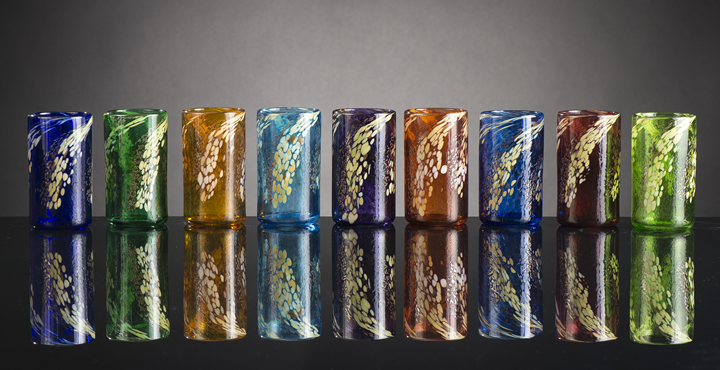 Each glass piece begins with a gathering of molten glass. This lava-like substance is then carefully decorated with colored glass shards or chips, which are melted onto the surface and manipulated with various hand tools. When cooled, each piece is carefully inspected and only the finest examples are signed and dated. 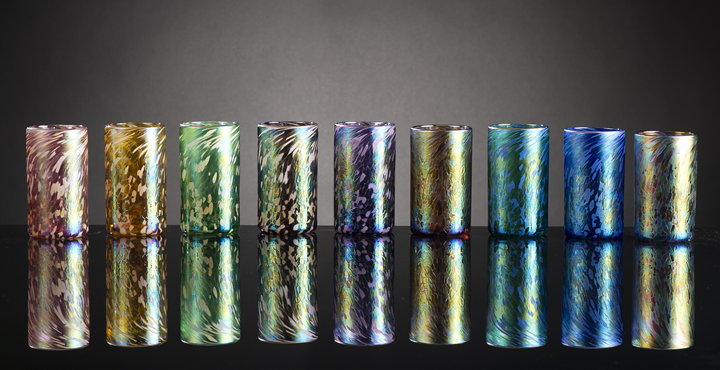 During the course of his work, Bryce's glass art has been included in many private and public collections, including the Smithsonian institutions. We hope you enjoy this original piece of art, as it represents a small piece of the passion and heart we have put in our business.